Honestly, I’m so overwhelmed by the amazingness of this, but I’ll try and explain it as best as I can. Two of my seriously WONDERFUL readers, Jenna from Adelaide and Kaysia from Sydney, bonded over social media thanks to their mutual love of The Medoran Chronicles, and they’ve teamed up and secretly planned an epic “Draekora Week” in the lead up to this coming Saturday’s official release date. They’re also hosting a readathon (and/or re-readathon) of the first two books in the series in the lead up to Saturday, and inviting anyone and everyone to jump in at any stage. If you want to know more about Draekora Week, they definitely explain it better than me, so check out their videos below. (And seriously — you do not want to miss the Stealth and Subterfuge ones, haha.) You can also find them on Twitter (Jenna = here … and Kaysia = here) and on Instagram (Jenna = here … and Kaysia = here) . Days Six and Seven still to come! Stay tuned for more — and keep an eye on their channels/social media! Also feel free to jump in with them at any stage!! MASSIVE thank you to these two amazing girls, both of whom I ADORE and can’t wait to see when I’m in Sydney this weekend! Jenna is actually one of my critique readers, and Kaysia won ‘The Chosen One’ competition last year (and so perfectly released the cover of Draekora to the world), so I am so ridiculously excited for us all to be together at the one time! Two days to go! 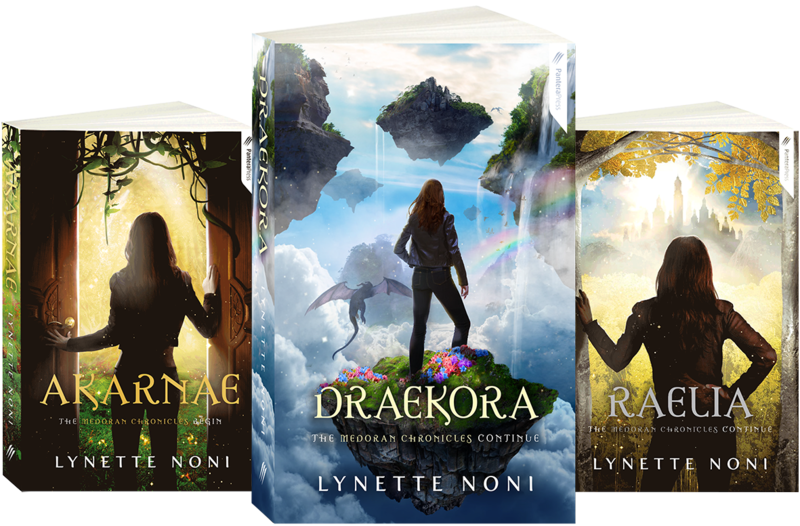 If you’re in Sydney and free on Saturday, my Draekora launch events include a Q&A at Galaxy Bookshop in the CBD from 12noon-1:00pm and a YA Bookmeet at Dymocks (George Street) from 2:30-3:30pm. Hope to see you there! ← Book Launch(es) – NEXT WEEK!!! ahhh WE LOVE YOU LYN! !